My client is testing the low quantity notification email function. So she made a new order and a product has now 0 stock. But no emails where sent. I saw that I forgot to setup the CRON task. Now I received the repport that the Cron task was launched correctly, But I never receveide the email that tells me about my product that don't have stock anymore. You indeed need to configure your cron. 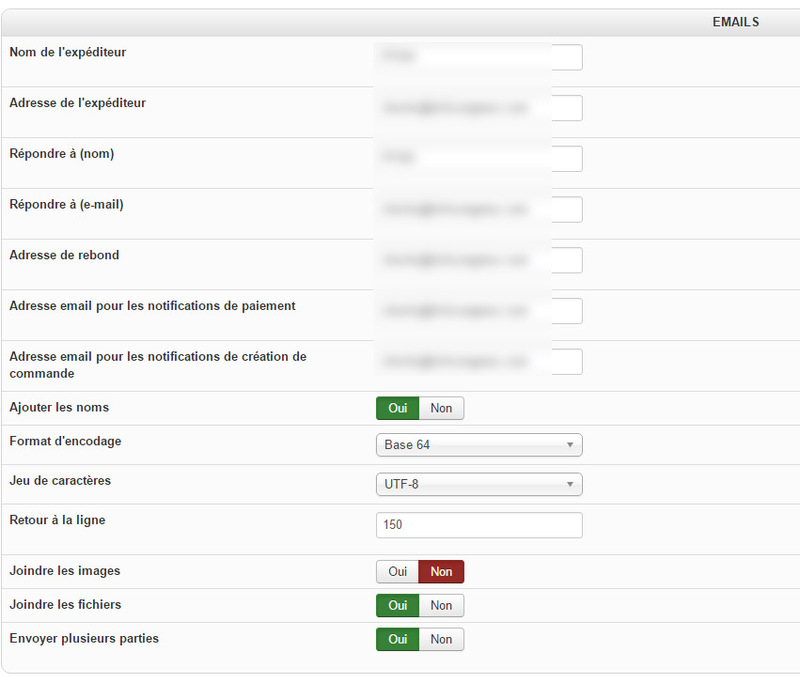 Then, the notification email will be sent based on the frequency configured in the plugin settings. By default, it's one day so you need to take that into account in your tests. Also, maybe the problem comes from the email server not sending the notification email and not HikaShop. Check in the menu Customers>Emails history. You should see the out of stock notification emails there once they are sent. If you see them there and not in your email box, then the problem is with the email sending not with the plugin or the cron task and you'll have to check with your hosting. I can't see these email here. The CRON was created AFTER a test for a product to reach 0 stock. In fact, it's not a customer email. My client, the administrator) wants to be notified if a stock reach zero. How can admins received these stock notifications ? How can admins received these stock notifications ? That email should actually be sent to the administrator, especially to the email address that you have set through the option "From Address" via "Hikashop->System->Configuration->Email". So you should probably directly check it to see if you are checking the correct email address inbox. I really can't understand how it works and how I can receive these out-of-stock notifications emails. Everywhere I've set my email address (inside System / General configuration / Emails and inside System / Emails / Out of stock notification). I've set a product quantity to 1. I've made a offline purchase of this product. The quantity have reach 0. Both admin and user received the notification of created order. But I've never received the email who told me that I have specific products that are out of stock. I don't understand what mistakes I have made. Last edit: 2 years 1 month ago by skouf. 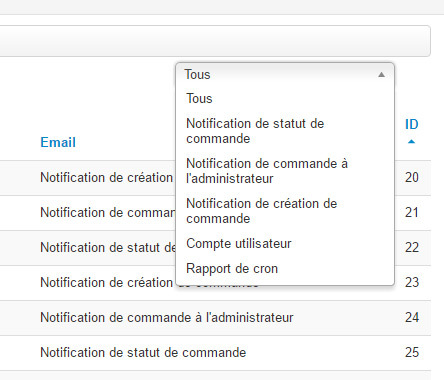 Can you provide a screenshot of the informations of the email when you open it in the menu Customers>Emails history ? Can you also provide a screenshot of the out of stock email received by the client ? Finally, can you provide a screenshot of the settings of the out of stock email in System>Emails and of the email section of the HikaShop configuration ? I can't provide a out of stock email received by the client because when I test the admin don't receive a mail. And the client can't receive an email because if the stock is 0, I can't make a new order. Can you check the top right filter of the email history listing and select "out of stock" there so that you only see the out of stock notifications ? That way, you'll be sure if the notifications are not sent because of a problem with the email server, or because of a problem with the plugin. 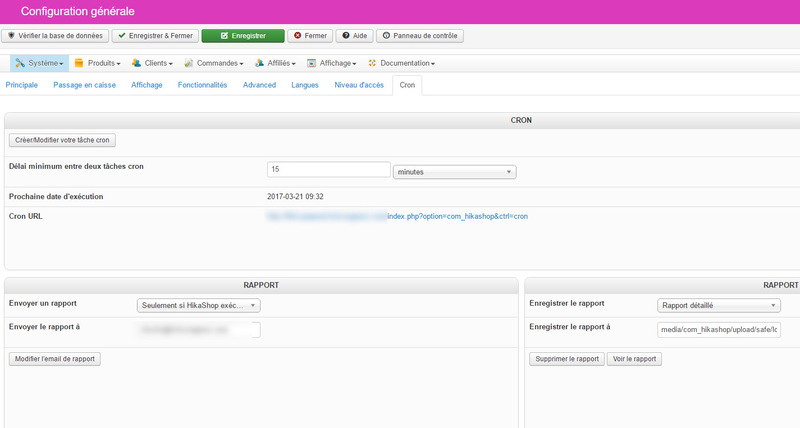 If you don't see any email there, then please provide a screenshot of the settings of your out of stock plugin and of the cron task tab of the Hikashop configuration. If you do see an out of stock notification email in the listing, then please provide a screenshot of the details of the email. And for the email, It's the default one in System / Emails. Thanks. I've added a patch for that problem on our end.
' product_quantity < '.(int)$this->stock_limit.' AND product_published = 1 AND product_quantity != -1 '.
' product_quantity <= '.(int)$this->stock_limit.' AND product_published = 1 AND product_quantity != -1 '. 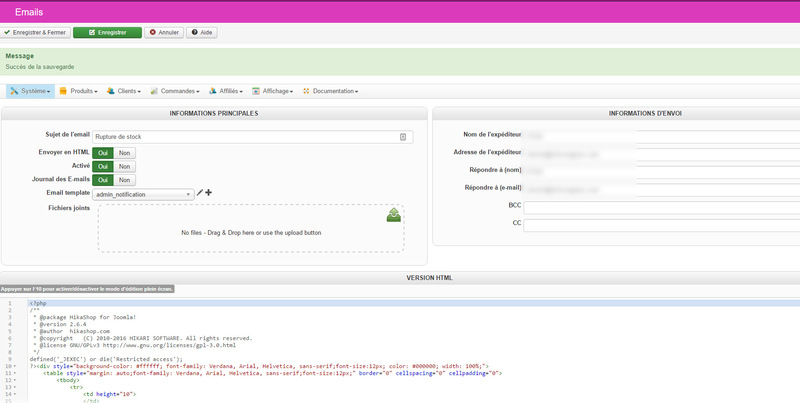 in the file plugins/hikashop/out_of_stock/out_of_stock.php and that should fix the problem. I've added the patch. I have to wait that the CRON is running and then I will receive the out of stock email ? Great ! Your patch worked !